Phillip is the owner and founder of Searchers 4wd. He has always enjoyed a fascination with machines and outdoor adventures. Fresh out of high school, Phillip bought a beat up 1978 CJ-7 with a 304 and a cracked frame. After getting married and starting the Mechanical engineering curriculum at LSU, money got tight and Phillip was “motivated” to start working on his own Jeep to save money and still be able to go wheeling. 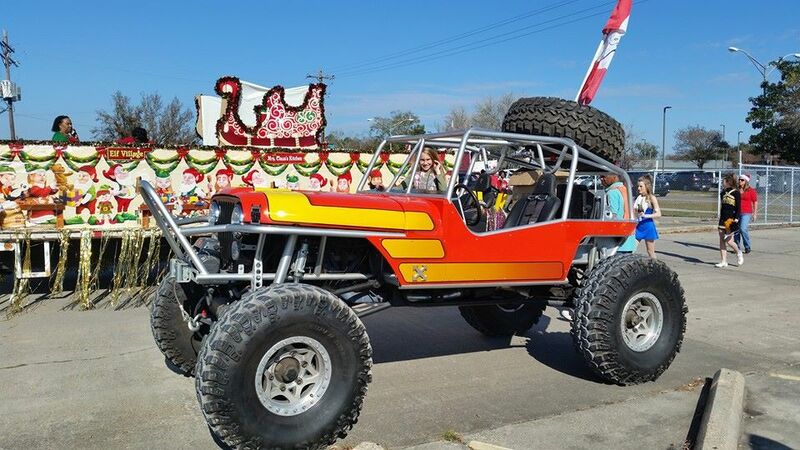 He made a few additions to his Jeep like a gear rack and a bumper, but never considered building things for others until he fabricated his first swinging tire carrier for a friend. This sparked an interest and on nights and weekends, and, working out of a little pink toolshed, helped make his way through college. Phillip graduated from LSU in 2003 as a Mechanical Engineer. After working a short time in the engineering field, (and out of a larger toolshed in his spare time) Phillip soon realized what he really wanted to do was continue designing and building off road components. Officially incorporated in March of 2004, Searchers 4wd Supply and Outfitters made its 1st appearance at an off-road expo a little over a year later. Word spread and the business grew, and by 2006 Phillip had taken on full time employees and moved to a 4000 sq ft building. Four years later Phillip moved the business into a larger 10000 sq ft building that is our current location. In this time, Phillip has worked very hard to make Searchers a business he can be proud of, but has never lost sight of that fascination with nature, machines, and adventure, and enjoys the opportunity to share that with his customers every day in the builds he designs for them and the four-wheeling he does with them.